Arrowhead ”Top of the Ranch” 4 bed, 3 bath now available! One of most popular Centex Homes single level floor plans with beautiful designer finishes that home buyers desire! The amazing kitchen has been updated with refinished cabinets and has double islands for any cooking or entertaining needs. When you think it can’t get better, step outside and you have an outdoor living area with pool and putting green that is awesome! PLUS all of this within minutes of shopping, dining, entertainment and freeway access!! Directions: Heading East on Deer Valley Rd. from 67th Ave.- North on 65th Ave. – East on Louise Dr.-North to Via Montoya. – West to property at the end of the cul-de-sac. Approximate size: 11939.00 sq. ft. Please, send me more information on this property: MLS# 5879825 – $469,000 – 6541 W Via Montoya Drive, Glendale, AZ 85310. 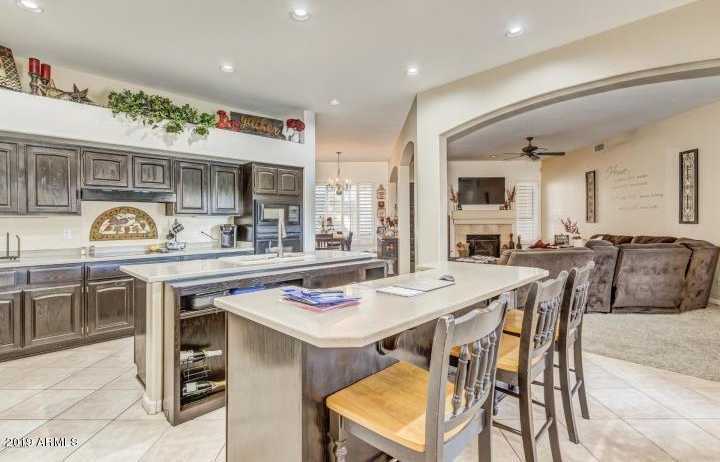 I would like to schedule a showing appointment for this property: MLS# 5879825 – $469,000 – 6541 W Via Montoya Drive, Glendale, AZ 85310. Data courtesy of the ARMLS. Last Updated April 25, 2019 10:48 am.